Thanks for your inquiry, Clean. 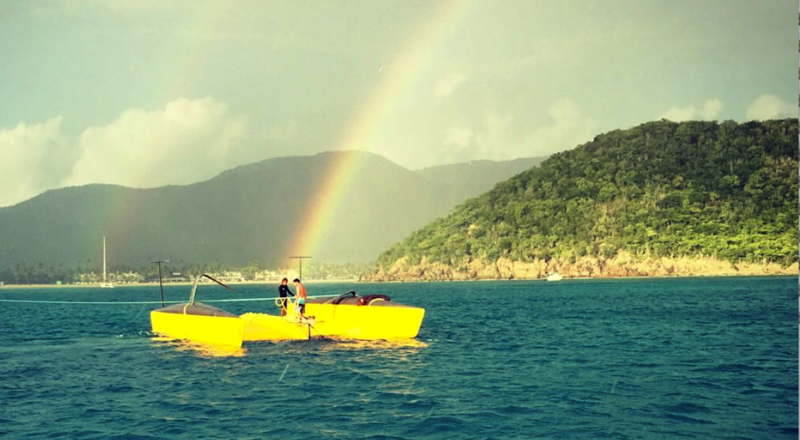 Although everyone knows cats can flip, we would wished it wouldn’t have happened on a sunny day in the Caribbean after they’d already survived rough weather and storms from NY to Bermuda and then another thousand-mile trip to Antigua without issue! But hey, it happened – so let’s learn from it. That’s why Shannon has been working so hard to learn the boat. While we hope you get the story straight from Shannon [it’s coming sooner than you realize] we learned from him that he was sailing inside the jib, heading towards the harbour while his crew were on the bow getting the furled FRO down on the tramp. 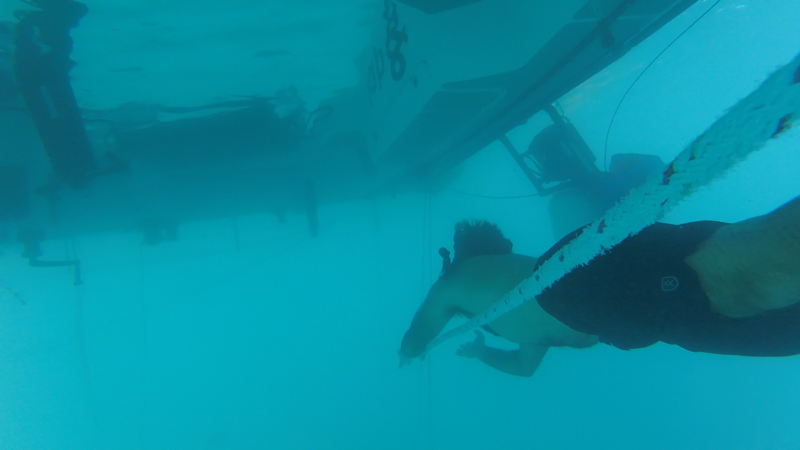 A squall and a big shift caught them with the jib on the winch, and even with the main blown off completely, the pressure on the jib slowly carried them over. In association with Andrew “Macca” Macpherson, we’ve been working for some time on a system that’s essential for these kinds of boats, and this incident reinforced its need. While winged AC boats and sealed-mast cats lay on their sides in a capsize, boats with more conventional masts turtle almost immediately, making recovery complicated and causing damage to electronics. 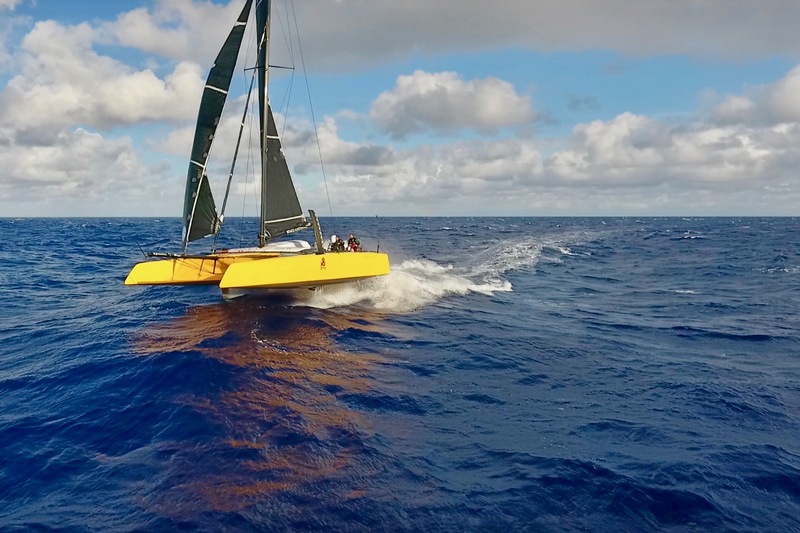 That’s why we’re excited about the mast-mounted inflatable balloon system we’ve been engineering for the TF-10 trimaran and G4 and F4 foiling cats; in the rare case that one of these boats goes over, there’s no reason they shouldn’t be able to be righted quickly and easily. We’ll have more news on the system later, and while we get the boat back in racing shape, feel free to check out this video of the F4 sailing in BDA and Antigua. She’s a dream!